How long do I have to answer an Alabama ejectment lawsuit after a foreclosure? This is a great question that we get from homeowners who have been foreclosed and are now trying to figure out what to do. You have 30 days from the day you were served to answer. It’s critical that you answer the lawsuit within this time frame, because bad consequences come if you don’t. You won’t have a house if you don’t answer the lawsuit. In addition to getting a default judgment against you, the sheriff’s deputy will tell you to get out of the house. You can also lose your right of redemption if you ignore the lawsuit. You may also have to pay money damages if you don’t respond to your lawsuit in time. Unfortunately, many bad things can happen if you don’t answer the lawsuit within the 30 day time limit. If you live in the state of Alabama and you have any questions, give us a call at 1-205-879-2447. Or fill out a contact form and we will get in touch with you as soon as we can. We will gladly walk your through your options and help you decide your best course of action from where you are. If you’d like some more resources, we have a couple of sites that will provide more information. EjectmentDVD.com will take you to a specific page where we talk about ejectment lawsuits after foreclosures. We also have a site called RESPAVideo.com. There we talk about how this law, RESPA, can help you. 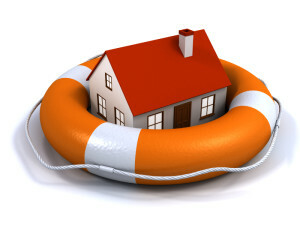 We mainly use the before a foreclosure but it can also help after a foreclosure. We also talk about a type of letter (under RESPA) you can send that may help your situation. You signed a reaffirmation agreement and you have kept up your end of the deal? And now the mortgage company refuses to follow the agreement? Have you checked with your bankruptcy attorney (I assume you filed bankruptcy as “reaffirmation” is a bankruptcy term)? Definitely find out your rights as much better to take action before a foreclosure than after. You may want to look at suing your mortgage company before the foreclosure — this sounds like a perfect example of when that would be the right thing to consider. Best wishes and if you are in Alabama feel free to call us if your bankruptcy lawyer is not able to help you. PS — Warren I realize I mis-read your comment — it looks like the foreclosure has ALREADY happened? If so, you can still fight back but you’ll need to hustle. Same concept as before but we file suit after or we wait until an ejectment action is filed. We also suggest using RESPA letters to try to get your mortgage company to do the right thing — if they don’t this gives an opportunity to sue under additional federal laws.